It is with great sadness that the family of Raymond Attilio Berettini announces his passing on June 27, 2018 at the age of 89. Ray was born April 2, 1929 in Dunsmuir, California to Attilio and Emma Berettini. He moved to Susanville when he was a sophomore, graduating from Lassen High School with the Class of 1947. Ray earned an associate of arts degree in business from Lassen College and associate of arts degree in fire science from Western Nevada College. He holds a lifetime fire science teaching credential. Ray was with the local National Guard for 20 years, retiring as a Chief Warrant Officer. Ray’s was a fire-fighter starting his career in the Susanville Fire Department in 1959. 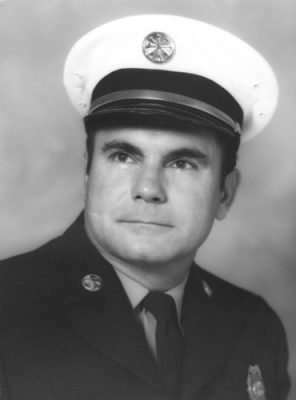 He worked his way through the ranks, attaining the rank of assistant fire chief in 1969. He accepted the position of assistant fire chief at the North Tahoe Fire Protection District at Kings Beach, where he reigned for four years. Ray returned to Susanville to become chief for the Susanville Fire Department in 1972, retiring in 1986. Ray went on to teach and train fire tactics and fire science. Ray loved the outdoors; he was a Boy Scout, working his way up to Eagle Scout. He also loved to hike and hunt with his three boys and grandkids. Ray was preceded in death by his parents Attilio and Emma Berettini, and his sister Marge Aguirre. Ray is survived by his wife Jean, sister Irene Smith, three sons Terry Cobb (Gloria), Gary Cobb (Rosalie – deceased), Michael Cobb (Barbara), 10 grandchildren, Stephen Cobb (Christa), Gina Little (Jerome), Erin Cobb (Jud), Jesse Cobb (deceased), Tina Dean (Pat) Terry Cobb Jr. (Kerri), Robert Cobb (Veniessa), Connie Davis, Kelli Cobb-White, Casey Cobb (Marci), 21 great grandchildren, 25 great, great grandchildren, and numerous nieces and nephews. Services will be held Friday, July 6, 2018 at 10 a.m. at the Catholic Church in Susanville, internment to be at the Janesville Cemetery. In lieu of flowers, please make a donation to the Susanville Fire Department. George Tunison Addington passed quietly from this life June 11, 2018 at his home in Sparks, Nevada at the age of 63 leaving his family, friends and many colleagues filled with sorrow. George was born Oct. 9, 1954 in Minneapolis, Minnesota to James Franklin and Mary Elizabeth (Tunison) Addington. George’s father was a traveling salesman for Ingersoll Rand which meant the family traveled frequently throughout the Midwest, spending a substantial part of his youth in Chicago. In his teen years, George moved out to Southern California to live with his older sister, Molly. He graduated from Rolling Hills High School in Palos Verdes, California in 1972 as a member of the National Honors Society. George had a passion for learning as well as teaching, which he worked diligently toward by attending Stanford University receiving his bachelor of arts degree in June 1976, his teaching credential in August 1977, and his master of arts degree in September 1977. He was also a beloved and trusted brother of Delta Upsilon (DU) Fraternity. Immediately upon his graduating from Stanford, George relocated to Susanville where he began his much-loved teaching career at Lassen High School. Although he felt connected to the beauty of the high desert of Lassen County, he relocated to Sparks, Nevada to continue his teaching career at Washoe High School in 1990. George celebrated his retirement from teaching in 2014. In 1989 George married his Susanville sweetheart, Gayla Perez, and to this union they were blessed with their beautiful twins, Allura (older by a whopping 39 minutes!) and Alyssa, and their delightful Athena. Though the marriage eventually ended in divorce, George remained a beloved member of the Perez family. In addition to being a dedicated father and a perpetual student of knowledge, George was an excellent guitarist and pianist, appreciating many genres of music. In addition to music, George enjoyed many sports: he was a competitive diver in his youth, and was a life-long Chicago Bears and Chicago Cubs fan. An avid reader, George’s daughters claim he read Atlas Shrugged by Ayn Rand more times than they could count and faithfully completed his daily Word Jumble, which he enjoyed so much. George was predeceased by his parents, James and Mary Addington, and his dear sister, Molly Hoffmann. He is survived by his precious daughters, Allura Addington of Reno, Alyssa Addington (and fiancé, James) and Athena Addington, all Sparks, sisters, Mary Smith of Florida and Katherine Babecki of South Carolina and his brother Jim Addington of Florida. A Celebration of George’s Life will take place at 3 p.m. Sunday, July 22, 2018 at the Monticola Club located at 140 South Lassen in Susanville. George had expressed to his family many times in the past that Susanville felt like his true home. In lieu of flowers, the family would like to request that donations of backpacks filled with school supplies be made to a child or school of donor’s choice in memory of George’s love for teaching and providing for children. An opportunity to express your condolences to the family along with signing the memorial guest register is available online at fehrmanmortuary.com. Ralph Arthur Hayes passed away in Susanville on June 27, 2018, at the home of his daughter and son-in-law. He was 92. Ralph was born on Jan. 20, 1926 in Torrance, California to James and Elizabeth Hayes. Ralph was a track star at Leuzinger High School in Torrance. 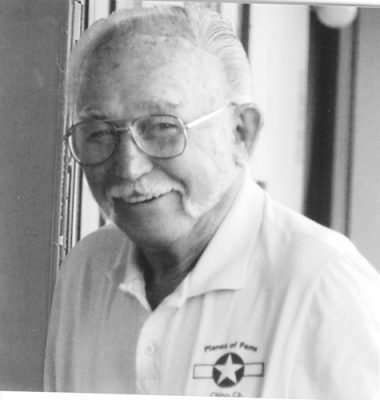 He was also a veteran of WWII, serving the U.S. Navy. He was a radio technician and tail gunner in dive and torpedo bombers. After their children were grown, Ralph and Thelma spent many years traveling to many places and even lived in Canada for a couple of years. They finally settled in Trinity Center, California where they spent many years together. 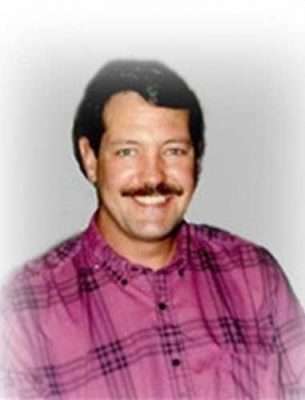 After Thelma passed away in 1996, Ralph moved to Susanville to be closer to family. He loved his little apartment at Lassen Manor and met many friends there over 20 years. He kept active and bowled for several years in Susanville and loved to gamble once in a while. It kept him wee and happy in life. Ralph is survived by his four children, Dorothy Lokey (Dale) of Washington; Christine Brown (Tom) of Susanville; Jim Hayes (Becky) of Sonora and Mike Hayes (Rose) of Washington. Nine grandchildren, 19 great grandchildren and 3 great great grandchildren, one brother-in-law and several nieces and nephews. We will miss him dearly and will continue our love for him until we meet again. No services will be held per Ralph’s request. Donations may be made to Honey Lake Hospice in Ralph’s memory.